Comment: Can we export some teachers to the Little Rann of Kutch, Mr Chief Minister? When Gujarat chief minister Narendra Modi was addressing students in Delhi, and he talked about exporting teachers to the world, he should have known that the so-called "Tambu shala" or "Rann shala" of Santalpur area in the Rann of Kutch of the state do not have teachers. 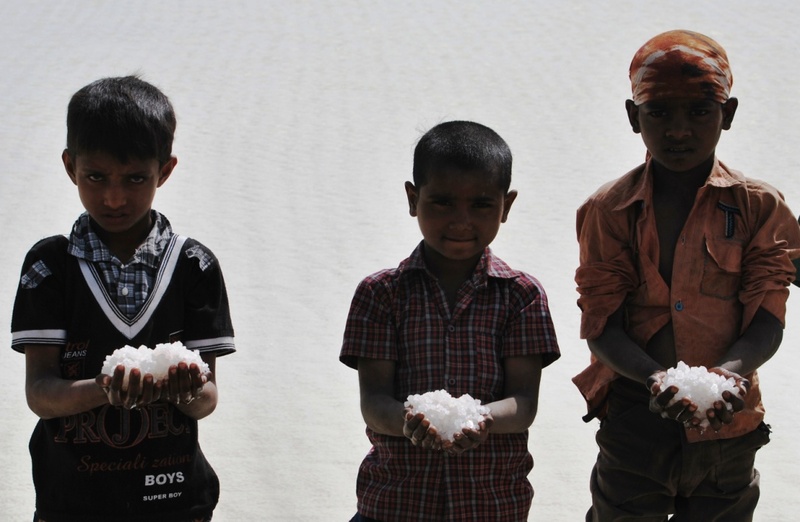 There are about 900 agariya (salt pan worker) families in Santalpur Rann area of Patan district. 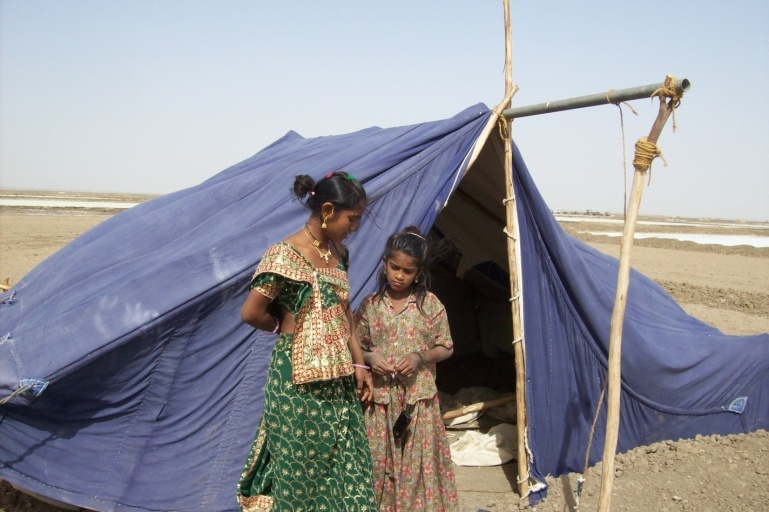 Children from these families are a daily witness to empty tent shades, which were supposed to be their school. “These year teachers were not appointed for Rann Shala. So we have to look for ‘baldost’ ”, is the general view among Block Resource Centre (BRC) and Cluster Resource Centre (CRC) office bearers of the area, who look into contentious issues related with education and coordinate for the Sarva Shiksha Abhiyan (SSA) programme of the Government of India for universalizing primary education. Currently, these schools are being run by bal-dosts, who supposed to be facilitators for dropped-out children to run two hours “alternative learning centre (ALC)”, a programme conducted under an SSA scheme. Rann shalas should be owned by the education department and not SSA. The district administration does not have the budget for trained teachers, for safe infrastructure, or for mid-day meal under ALS scheme. Agariya children are school-going children, and should get trained teachers. Mid-day meal should be served in the Rann shalas. These shalas should be an extension centre of village schools. If the education department owns these schools, plans them in advance, it is possible to decide on locations and erect schools made of local material, which can save children from heat during summer and cold wind during winter. The education department and the SSA programme office bearers are well aware of the problem. But they are helpless, as they are not equipped with necessary support. The Gujarat government makes huge propaganda of “symbolic” work done under various programmes like school enrollment drive, school health check-up programme, SSA, Gunotsav etc. Yet, the irony is, these programmes and systems are used (rather misused) for ‘image building’ by the chief minister of the state. The implementing machinery, at taluka or district levels, is almost helpless without budget and human resource support – both controlled from state level. If social workers associated with Agariya Hit Rakshak Manch (AHRM) complain, the officials at block level are punished for no reason. We need trained teacher for our children. The general view among agariyas is, if agariya they appointed as baldost, when we will the make salt?. "We agariyas always cooperate and support government in every possible way. But can't government give quality education to our children?" asks Narubhai , an active agariya leader from Santalpur Rann. In fact, the issue is not confined to the Little Rann of Kutch. Lakhs of children from fishing communities, who resides on Bara along Saurastra coast; or notified and de-notified tribes who resides in settlements quite far from the revenue village; or agariyas in the Rann of Kutch spread next to several districts do not get regular school with trained teachers and mid-day meal. Why does the education department want to throw these children on the mercy of Sarva Shiksha Abhiyaan programme? Why can’t so called ‘Big Gujarat’ give “books” in these little hands? Why? Yes, it is time to face our demons!